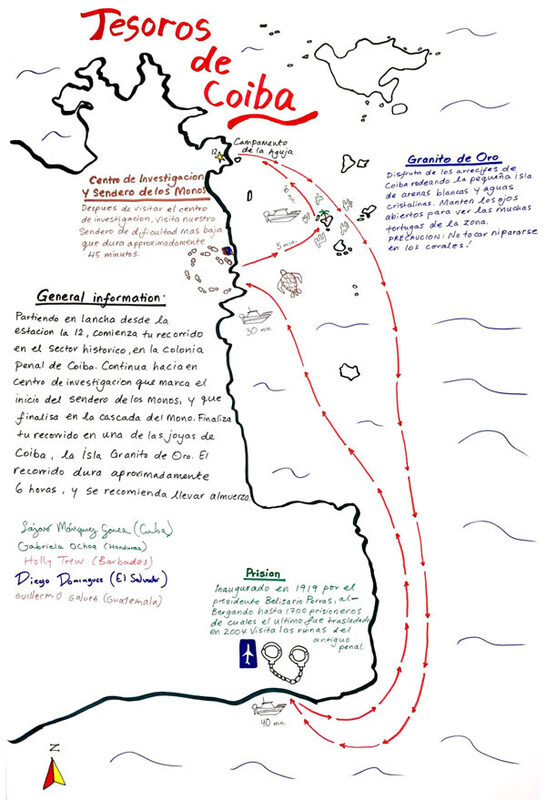 Fourteen young people, with common interests in marine biodiversity and climate change, developed two tourist guides for the Coiba National Park in Panama, in the framework of the World Heritage Youth Project on Marine Biodiversity and Climate Change that was organized in January 2016 by the World Heritage Centre in cooperation with MarViva Foundation. The creation of tourist guides was initiated by the participants during the activities carried out under the youth project. Afterwards, MarViva Foundation engaged in consolidation, translation and digitization of the tourist guides. 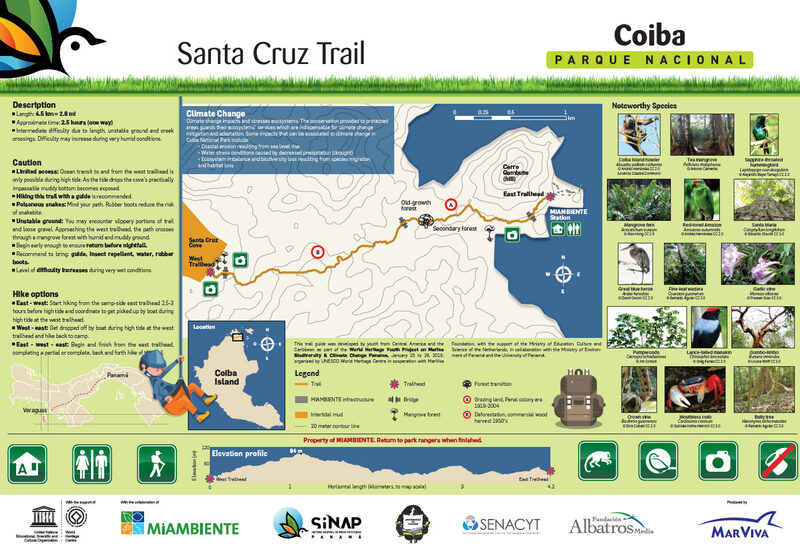 With the collaboration of the Ministry of Environment of Panama and the University of Panama, the guides were officially produced and printed in English and Spanish. 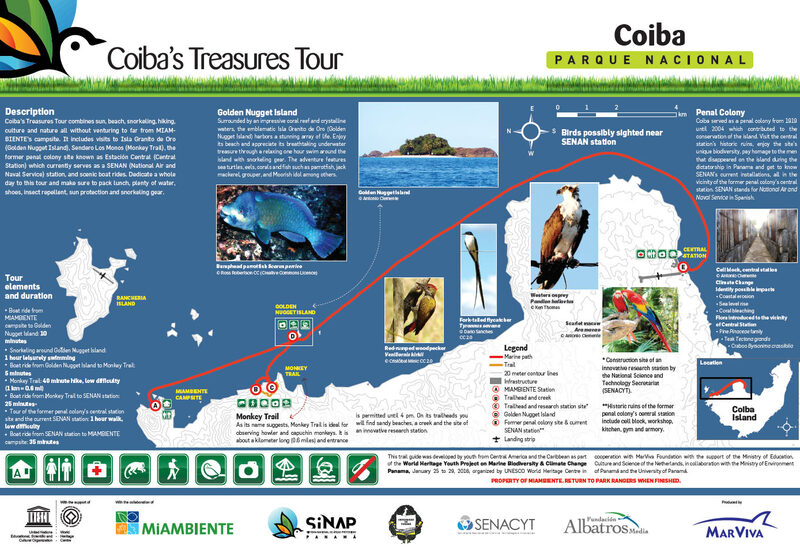 The tourist guides offer two different tour options on the Coiba Island – the Santa Cruz Trail and the Coiba’s Treasures Tour. 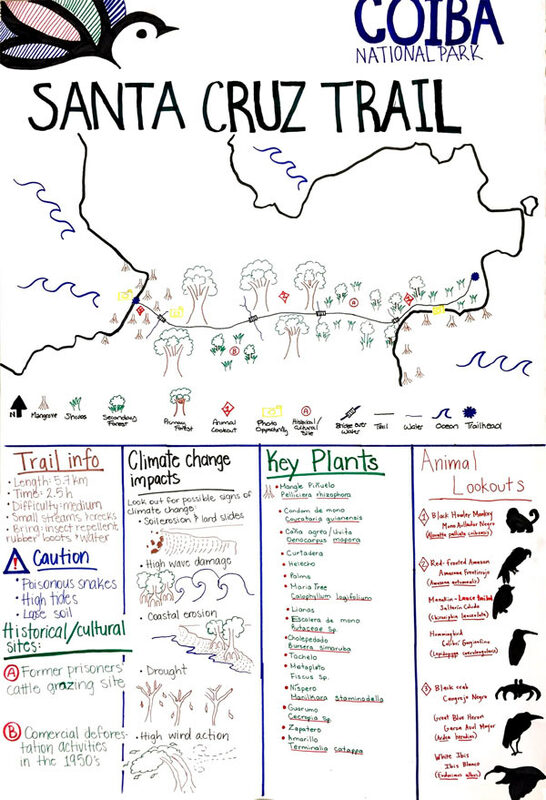 The guides mark key sites and highlight noteworthy species. The former introduces hike options and the latter scenic boat rides. Currently, the Ministry of Environment of Panama provides them to visitors through a ranger station on the island.